The Pole Vault Squad are focused on developing your Pole Vaulting from absolute beginner to international standard. It is an exciting event that combines sprinting on the run up, jumping to generate initial lift, gymnastic strength to achieve bar clearances and endurance to repeat vaults throughout competitions. Annual taster sessions are run to allow curious athletes to try the event in a safe, supportive group environment. Combining vaulting and coaching, Ian is the current British Masters Champion and 4th in the European Masters Outdoor Championship 2017 (Aarhus, Den). 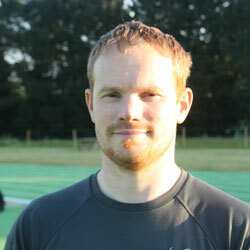 He has coached junior and senior athletes to Regional and National Championships. Regular squad training is held Tuesdays and Sundays at the first class indoor training facility at Brunel University in Uxbridge. Basing ourselves at this facility allows us to train all year round and utilise the strength and conditioning facilities as part of regular training. Advanced athletes undertake additional Gymnastic, running and strength and conditioning sessions required to further progression. The group compete frequently in league competitions plus Pole Vault specific competitions, county, regional and national championships as a focus point for each season to set each athlete suitable targets to aim for.